On 1st November 2011 we have the beginning of National Government’s External Examination of Ealing Council’s spatial plans for the town over the next 15 years. Specifically under examination is Ealing’s Local Development Framework Core Strategy. You can examine this here (pdf). At the heart of Ealing’s plans are the building of 14,000 new homes, almost 10,000 of which will be along the Uxbridge Road/Crossrail ‘Corridor’ and clustered around Acton, Southall, West Ealing and Ealing Broadway Stations. If anyone does go along tomorrow then please post a comment on here and let us know what you think. It’s that time again! After our very successful Tweetup in June, West Ealing Neighbours is having another one! The Star and Anchor is hosting our the event on Thursday, 10 November from 7:30pm. 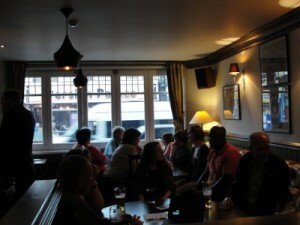 It’s a chance to have a drink and a chat with your neighbours in West Ealing, meet some new people, and maybe even make a connection or two! We’re inviting local tweeters, bloggers, foodies, councillors and personalities. There will be locals to talk to about the arts in Ealing, including local film, reading and music. Or, if you’re interested in the bricks and mortar of our community, you can talk to people about local planning issues and regeneration. Maybe there’s a fantastic local restaurant you want to tell everyone about? We’ll also be hosting a book swap where you can bring along the books you want to share with others, and find some new ones to read! So come on down to the Star and Anchor (they’re will be probably be nibbles! )- it would be great to see you there and have a drink with you! 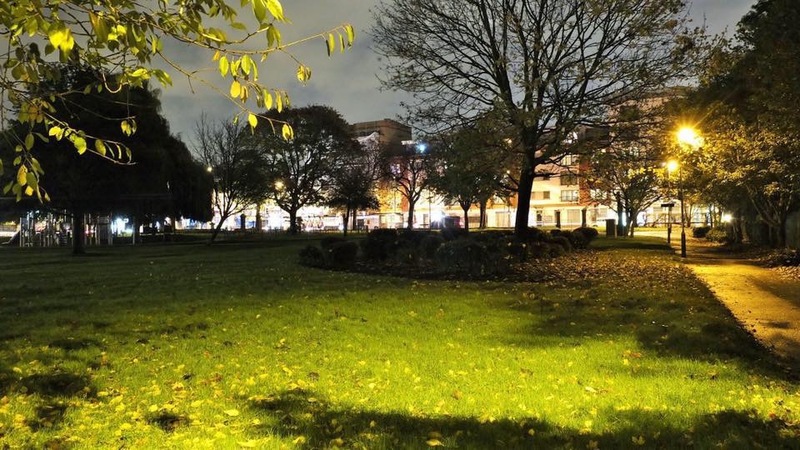 We reported, in September, on the first Joint Action Group meeting held to coordinate the response of the Police, Council and other local agencies to the incidents involving the young night-time group that is new to this area. Now, a third but totally unconnected incident has occurred in the small hours of the morning on Wednesday 19th October. As the second, follow-up, JAG meeting was already scheduled for today, this latest incident was included on the agenda. This note summarises the overall situation and the main outcomes of the meeting for the local community. Fundamentally, West Ealing is part of a residential area, not a centre for ‘gang behaviour’ or any other illegal activity. Already, during the daytime the park is busy with families, many enjoying the children’s facilities. The situation at night is also improving, particularly at weekends. The increased police resources on the ground have already had a positive effect. Their numbers will be even higher this weekend with the aim of further increasing visible law enforcement. Nothing is being left to chance and residents will be very pleased to hear that the police are, and will be, taking a very firm stance. The work of the plain clothes and SNT officers gathering intelligence is continuing in parallel to this. The latest incident is being investigated by a special dedicated police unit. Council Adult and Children’s Services are also involved to help cushion any impact on the genuinely homeless and disadvantaged. In summary – progress has already been achieved. The recent incident is unconnected with the past pattern and is being investigated very thoroughly. We can all continue to help. If you are aware of any anti-social behaviour or drug related incident, you can report it by ringing 101 (this number is for all calls to the police other than emergencies – for which please ring 999). 101 will get you through to the Metropolitan Police who will pass the details to a duty officer in Ealing for collation by our intelligence team. Around 150 people turned up at Ealing Town Hall on the evening of Monday 17 October 2011 to give evidence to both a national and a local Riot Panel. The meeting lasted two and a half hours. Everyone was given the chance to speak on what happened on the night of 8/9 August; why it happened; and what needs to be done to prevent it happening again. To be honest Canberra Road is driving me nuts! Canberra Road is the service road that runs along the north side of Sainsbury’s and across Melbourne Ave by the side of Luckhurst’s and to the back of Lidl’s. I pass it almost every day and almost without fail it’s a disgrace – dumped black bags, old sofas, bags of clothes and overflowing wheelie bins. The problem is that it’s at the back of a row of shops where deliveries have to take place and it now is the entrance to a host of new flats built on top of many of these shops (some of which do not appear to have any of their own bins) and it has a large charity collection bin for clothes. All in all, it’s seen as a good dumping ground for people wanting to fly-tip all manner of unwanted goods. In fairness, the Council tries hard to keep it clean. I talked to one of the street cleaners a week or so ago who was having to clear up there and he said Council trucks come along every day to take away dumped rubbish. But it shouldn’t be like this. 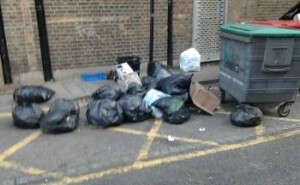 Why should we have to put up with constant fly-tipping along this road? From a West Ealing Neighbours point of view Canberra Road is the key link between Melbourne Avenue, the heart of West Ealing, and St James Avenue where we hold a variety of events – Family Day, the annual arts and crafts fair and occasional craft markets. We need to reclaim this road from the fly-tippers and make it a decent road to walk along as opposed to the nasty, rubbish strewn road it is most of the time. I confess I don’t think it will be easy to clear up Canberra Road but we need to try. I’m going to ask the Council if a CCTV camera can be put there for a while to catch the fly-tippers. But we need more than that. We need to make it look decent, so any ideas are very welcome. The London School of Management (LSM) closed down on 26 September 2011. The UK Borders Agency (UKBA) revoked its licence to sponsor foreign students and as 85 – 90 % of its students come from outside the EU, it had little choice but to close. Come along to OPEN between 12.30 and 1.30pm on Friday to relax and listen to local folk group Oddfellas play traditional folk songs and tunes from the British Isles on banjo, fiddle, guitar and more – and all for free! Instead of joining his fellow Ealing residents online at Ealing Today to debate the merits of spending £4.4 million on Walpole Park, Conservative Councillor Phil Taylor has just referred us all to his blog. His reveals his anger at myself and Arthur Breens in questioning Ealing Council’s spending plans for the park.